Apple iPhone 8 launch on September 12: What does Tim Cook have up his sleeve? Apple's iPhone 8 is coming and this time it will be special. Every year, tons of mock ups surface and claim to look like the final version but Apple surprises us with their ultimate reveal. Similarly, this year's iPhone has been leaked numerous times. However, all these mock ups will go to rest in a few days from now. Apple will be conducting the launch event of the next generation iPhone on September 12. The event will be held at the newly build Steve Jobs theatre in Apple's new Apple Park which is also in its final stage of completion. The event is scheduled to begin at 10am on September 12 in Cupertino, California which translates to 10:30pm for the Indian audience. The iPhone 8 is also expected to be accompanied by a new version of Apple Watch during the event. What can be expected of the event? The biggest and almost certain announcement will be that of a new Apple iPhone 8. Apple updates since iPhone 6 have been more evolutionary than revolutionary and this year all eyes will be on Tim Cook to exhibit something radical. Other than the iPhone 8, Apple is expected to launch two milder updates for this years' iPhone 7 Plus and iPhone 7. The iPhone 7s and iPhone 7s Plus will give Apple enough padding for the risks it will take with the iPhone 8. If the rumours about iPhone 8's exorbitant prices are to be believed, many Apple fans might not end up buying these devices. These devices will feature LCD display panels, unlike the OLED panels in iPhone 8. Apple will also be launching an Apple Watch during the event. The update to Apple Watch has been long overdue since last years' Watch saw more of an incremental update to the first gen device. The new edition Apple Watch is expected to function independently as it will be capable of carrying a SIM card. This standalone product can give Apple an edge in the wearable segment. What can we expect from iPhone 8? The bigger change will be in the form of display on the iPhone 8. The display is expected to be bezel-less with the highest screen to body ratio ever to be found on a smartphone. The device will feature OLED displays which are being manufactured by Samsung. These OLED displays will cost Apple double the price for what they used in iPhone 7 Plus LCD panel. Apple might place the fingerprint sensor under the screen or in the rear panel. There have been a few reports that also suggest that Apple might ditch the fingerprint sensor for an alternative like face-recognition. Analysts suggest that Apple might go for a 3D facial recognition system instead. The camera will use dual lenses and is expected to house larger sensors. This will help iPhone compete against the current flagships in the low-light segment. The front facing snapper might be placed in the small indentation on the top of the OLED display. The iPhone 8 is expected to feature a bigger 5.8 inch display. However, the device's overall foot-print should reduce considering the bezel-less display. When will the device go on sale? The new iPhones will be available for pre-booking by September 15 and will start shipping by September 22. 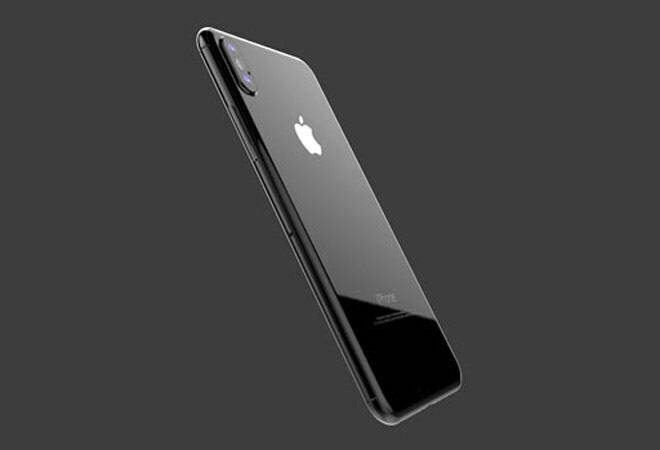 According to a report by TechCrunch, Apple will begin pre-bookings for iPhone 8 but will only be available later in the year whereas, the iPhone 7s and iPhone 7s Plus will be available few days after the official launch.